Time series forecasting is an important task for the business sector. Agents involved in the olive oil sector consider that, for the olive oil price, medium-term predictions are more important than short-term predictions. In collaboration with these agents the forecasting of the price of extra-virgin olive oil six months ahead has been established as the aim of this work. According to expert opinion, the use of exogenous variables and technical indicators can help in this task and must be included in the forecasting process. The amount of variables that can be considered makes necessary the use of feature selection algorithms in order to reduce the number of variables and to increase the interpretability and usefulness of the obtained forecasting system. 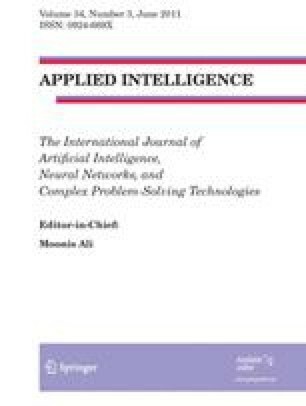 Thus, in this paper CO2RBFN, a cooperative-competitive algorithm for Radial Basis Function Network design, and other soft computing methods have been applied to the data sets with the whole set of input variables and to the data sets with the selected set of input variables. The experimentation carried out shows that CO2RBFN obtains the best results in medium term forecasting for olive oil prices with the whole and with the selected set of input variables. Moreover, the feature selection methods applied to the data sets highlighted some influential variables which could be considered not only for the prediction but also for the description of the complex process involved in the medium-term forecasting of the olive oil price.